I came across an interesting article about a new generation of directors changing Nepal's "Bollywood formula" movie industry. Basically the article talks about how younger directors are bringing modern elements to Nepali movies from the script to the filming equipment. Now I'm not going to get carried away by one article, Rajesh Hamal is not retiring anytime soon, but the piece did make me think about possible parallels with Nepal's sports industry. Are there some young up and coming sports "directors" out there who will lead the way in transforming the sports establishment in Nepal? Most of us certainly hope so, but one major difference between sports and the arts is that with the arts anyone can just pick-up a paint brush or camera and create something. They can then publish it relatively easily - on the Internet, a studio gallery or even on the side of the street and create a buzz. Sports is much more bureaucratic in this regard. It's difficult to do things independently. If you want to make decisions, you have to get elected. If you want to play then you will need an opponent to play against and your matches need to be sanctioned by a governing body. You can be the fastest runner in Nepal, but if the Nepal athletic officials deny you entry into their qualifying events - no one will know how fast you are and you won't be competing internationally. I was looking at photos of the Nepal Bank "A" Division Junior League on Nepal Sports Photo website and saw that all clubs participating in the tournament have the tournament sponsors' name written in Nepali on their jerseys. I also noticed that none of the clubs participating in the tournament bothered to put their club's logo on the shirts. To take the second point first - it's a little disappointing that clubs (and even the national team for that matter) continue to not be concerned about details such as their club badge. Certainly, an argument can be made that a simple logo only ads an expense and offers little value to cash strapped clubs in Kathmandu Valley. That however is a very short sighted view. An identity (Brand) is not developed overnight. It takes time, but it has the power to create many long term benefits. On the first point, I was a bit perplexed about the Nepal Bank ads on all the club jerseys though. I understand that Nepal Bank bought uniform sets for all the participating clubs, but most clubs have their own sponsors and some even carry the name of the sponsor in the official club name (e.g. 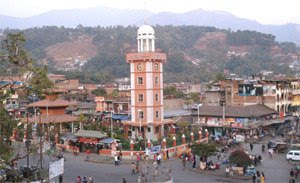 Sankata "Kathmandu Mall" Club). Thus one would assume the clubs would be quite hesitant to wear the shirt with the name of a rival sponsor on them. This is especially true for Nabil Three Star Club and NIBL Friends Club whose main sponsor are prominent Nepali banks. I wonder how Nabil Bank officials must feel seeing Three Star Club wearing shirts that say "Nepal Bank Limited" (see picture above) on them? The other day I commented that the Aaha Gold Cup website was one of the best Nepali sports sites I have come across. 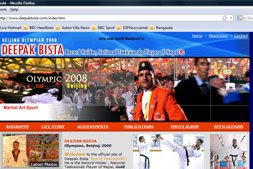 It's a good thing I wrote "one of the best," because I just revisited Taekwondo great Deepak Bista's website and it is superb. 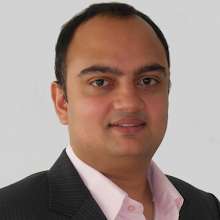 Credit to Deepak and the web hosts Longtail e-media for putting together such a terrific site. It is a fantastic visual history of Deepak's amazing career which has seen him participate in the Olympic Games, and win 3 SAG gold medals and 2 Asiad bronze medals. Most global sports celebrities do not have a website half as good. The Aaha Gold Cup, organized by Sahara Club Pokhara, definitely seems to have gone from strength to strength. This year saw the usual packed stands, but the tournament matured in other departments. The media coverage was fantastic, including a special section in the highly popular international football news website Goal.com. There was a specially dedicated Aaha Gold Cup website which is one of the best Nepali sports websites I have come across so far. The photo gallery on the website is first class.The prize packages also seem to have gone-up a notch, including the player of the tournament winning a motorbike. The only major thing lacking with the tournament was an entertaining final match as Police slammed Army 5 - 0. I just stumbled upon the National Sports Council website. The website is still under construction, but so far I'm quite impressed. It is clean, has a nice design and some good information is available on the site. Only 500 or so people have visited the website so far, so NSC definitely should promote the site a bit. Though incomplete, the website has page links to topics such as "Sports Tourism," "Research," and "Infrastructure" which shows that at the very least, these facets of sports have entered the consciousness of the sports authorities which is quite positive. There you go, that last sentence is exactly why a website is such a powerful tool. Just spending a few minutes on the NSC website has already slightly altered my perception of the organization. 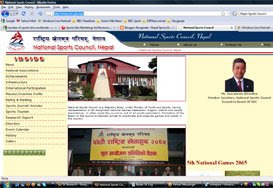 Let's hope NSC continues to develop the site and that it serves as a valuable tool for Nepali sports. The finals of the Budha Subba Cup sees match-up between Three Star Club and Nepal Army in the eastern city of Dharan. Below are a few Dharan websites. It's interesting to see that all three websites have lots of football related information on them which just goes to show how much football craze there is in that city. Click Dharan - News and entertainment site, with Budha Subba coverage. 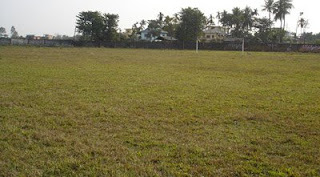 My Dharan - Lots of Dharan football pictures in this one. 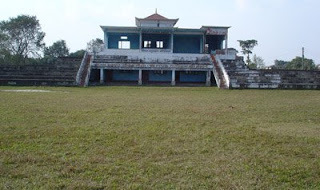 Here are some pictures of Bhadrapur Stadium (Jhapa District, Eastern Nepal). The stadium is actually one of the better stadiums in Nepal. It has a massive pitch, is secured on all four sides and the grass is good. Unfortunately, the stadium is currently underutilized, but it could definitely host a big cup tournament if required. Growing up in the USA, I was asked a lot by my friends whether I was an avid skier. They automatically presumed with all the mountains in Nepal there would be millions of ski resorts in the country. I always had a standard line, "Nepalis climb mountains, we don't ski on them." Well it looks like this may not be true for long. This week there were two prominent news stories on the ski front which certainly must have saved some face for Jeevan Ram Shrestha, head of the National Sports Council and the often mocked Nepal Ski Association. First, a delegation of skiers and coaches left for a training camp in India, and then there was the story which received international attention about the Nepali ski team not having skis. The story is actually not as negative as it sounds. Interesting story in NayaPatrika about Knight Chess Club of Kakkravitta, Jhapa signing 17 players fulltime at Rs. 36,000 per year. It's great to see a clubs outside of Kathmandu becoming ambitious. I wonder where the club will fit in the Nepali football pyramid. Will they go and play Martyrs League"C" Division qualifying or are they content just to play cup tournaments and district leagues? This blog is my attempt to create engaging conversations on Nepali sports topics. Sports scores and scandals can be found on many of the Nepali news and sports sites out there; however, on this blog, I hope to focus on the other sides of sports - events and issues on and off the field which are less discussed by the mainstream media such as sports marketing, infrastructure, development, journalism, etc. My days of writing 2000 word articles are over, so please do not expect any Pulitzer Prize winning essays. The blogs will be brief - maybe a few sentences, a picture, links to interesting stories, etc. I hope you enjoy the blog and encourage you to add to the discussions.